The Golden Jubilee of Santo Nino Academy (1998) is a triumph for all the alumni who owe a debt of gratitude to the Founding Fathers and the Sisters of St. Francis of Perpetual Adoration. Their vision and dedication to Malitbog youth have made Santo Nino Academy what it is today. After World War II, a need was felt to mold and educate the postwar generation of young Malitboganons in the Doctrine of the Catholic Church, their heritage. Thus, in 1947, concerned Catholics led by Mr. Maximino Tidaldo, Sr., Mr. Celedonio Capalaran, Mr. Pastor Vecina and Mr. Felicisimo Bacalla, under the guidance of Father Crispin Singson, the parish priest, embarked on a plan for the establishment of a Catholic high school . First and foremost was the task of finding Malitboganons who would share their vision. Among the prominent citizens was Don Jacinto Escano Aberasturi, who maintained his interest and support throughout the years. The first classes were held in the Escano building adjacent to the Catholic Church. 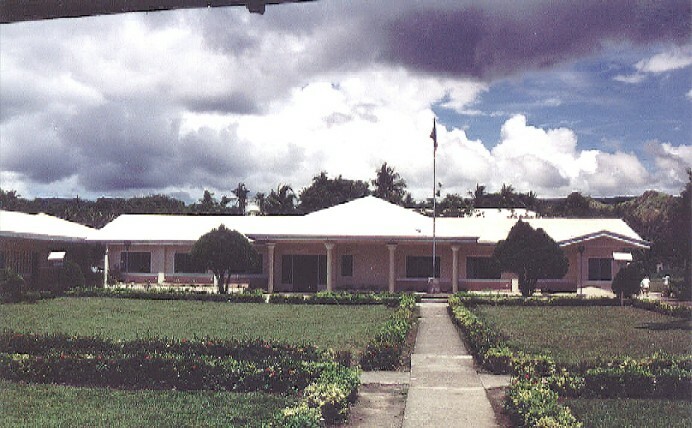 Formerly, this building had been used by the Malitboganon Association, as well as the Leyte Institute. On May 20, 1948, a corporation of thirty eight stockholders, including Bishop Manuel Mascarinas, formally opened the school with the corporate name of Santo Nino Academy. About 500 students flocked to the Academy on its first day of classes. From its beginning, the school was co-educational, and offered all four years of high school. The school flourished so much that rooms in the Parish Convento and the Parish Church had to be utilized. The faculty consisted of local personnel who ably guided the students to excellence. On July 1, 1949, the Academy opened a Junior Normal course and on February 6, 1950, was granted approval by the Department of Education. 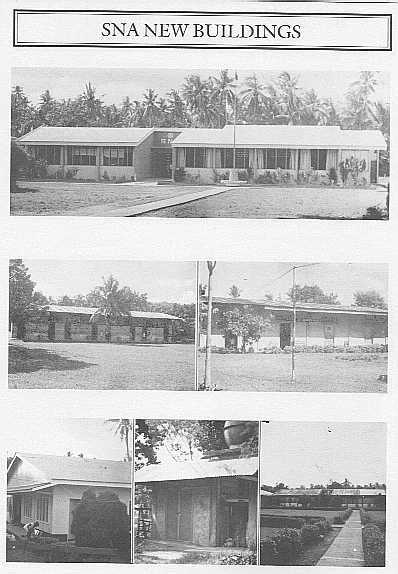 It then became known as Santo Nino College. However, two super typhoons, Amy in 1949, and Emma in 1950 did immeasurable damage to the school buildings and facilities. The school faced impending closure unless a new source of financial aid could be found for teachers' salaries and repairs of the school. Concerned Catholics once again approached their founding benefactor, Don Jacinto E. Aberasturi, who again extended unconditional financial and moral support. The school was able to continue, but only on the secondary level. As the years passed, Santo Nino Academy served the youth as the only Catholic secondary school in the area, and many students benefited from its teachings. Difficulties again arose with the establishment of the Bureau of Private Schools which imposed many new and strict regulations on the school. At this point, the Board of Trustees discussed possible ways of continuing and maintaining its high standard of education. The Sisters of St. Francis of Perpetual Adoration, the administrators of the Franciscan College of the Immaculate Conception, Baybay, Leyte, were considered as a possible help for the school. 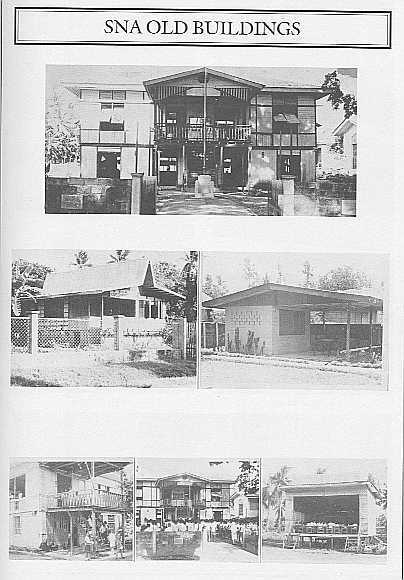 Thus, in June 1970, the Sisters, after visiting the school and recognizing the feasibility of working at Santo Nino Academy, agreed to assume ownership of the donated buildings, furnishings, and equipment. They retained the name of the school as well as all faculty members who wished to continue teaching. The parish, with the approval of Bishop Vicente T. Ataviado, Bishop of Maasin, donated to the Sisters the extensive campus with the following buildings: a two-story wooden structure which housed offices, a library and two classrooms, and another wooden structure of four classrooms. The new owners and administrators were also imbued with the same vision of Catholic education as the Founding Fathers, benefactors, stockholders and Catholics of the area. It was with gratitude that the new owners paid tribute to the selfless men and women who 50 years ago took up the challenge of Catholic education despite difficulties and hardships. In June 1970, as the owners took over the school, the enrollment reached 474. The first director was Sister M. Denise Stolinski, O.S.F., and the principal was Sister M. Mark Orgon, O.S.F. The Sisters teaching at this time were Sister M. John Bascug, O.S.F., Sister M. Ann Caintic, O.S.F. and Sister M. Clare Penon, O.S.F. who served as Catechist in the public school. 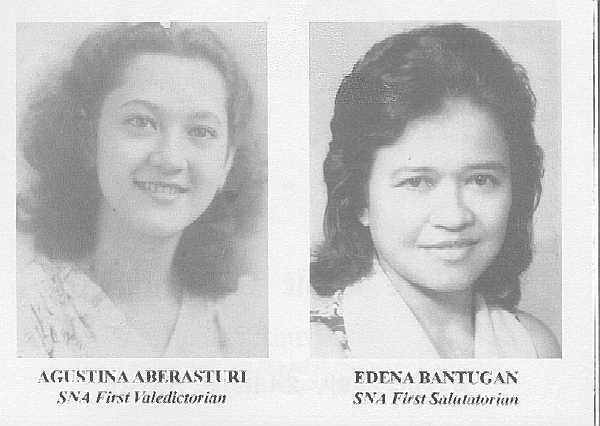 The Sisters emphasized a three-prong program of development: a strong religious development for faculty and students; a faculty development program to insure quality education ; and stress in the use and proficiency of English as a preparation for higher learning in life. The program for teaching/learning strongly emphasized the basics in order to prepare the students for their future as citizens of Christianity and country. The Sisters have taken a keen interest in student progress and take time to motivate them to study and improvement. Teachers have been provided with a development program which has included in-service seminars, invited speakers, out-of-town workshops and educational tours within the country. The school is proud of its alumni who have become doctors, dentists, engineers, teachers, nurses, seamen, businessmen and others. In addition, the school has maintained a program of activities which has challenged students in sports, dance, music, drama, thus developing the whole person. Parents throughout the years have, through the KAGITU, the parents' organization, been supportive in the operation of the school and its varied activities as is evidenced by financing many projects such as the fencing of the school campus. The Founding Fathers would be amazed to see how the school has grown and how its campus is landscaped to provide an educational atmosphere for learning. Buildings include an Administration building housing offices, clinics, library and faculty room. The "Long Room," which has been severely damaged by a typhoon was extensively repaired. Two new buildings were constructed for classes - one contains four classrooms and the other, the Science and Practical and Home Arts Laboratory. A campus-based water tank towers above the gardens. Many of these changes were made possible through donations from the Sisters of St. Francis of Perpetual Adoration here and abroad. The Santo Nino Nursery, Kindergartens I and II have been government approved and have their own facilities on the Santo Nino campus. Buildings do not make a school. It is the hard work of administrators and teachers who have had the greatest impact on the education of the youth. To these dedicated people, we owe a debt of gratitude. Without them, and the Sisters, the vision of the Founding Fathers and benefactors could not have been achieved. Policarpo Orais Lorenzo Escano Jr.
Rosendo Moreno Bishop Manuel Mascarinas, D.D.